There are many monitoring tools which let you know whether a system is functioning as expected. However, with observability, we can find an answer to the question of why a system is not functioning the way you want. In this sense, monitoring is just a subset of observability. Instrumentation also plays a principal role in making your system observable. For instance, the use of logging in systems (especially structured logging), collecting metrics in the runtime such as request count and response time, and the use of unique IDs for requests in order to do distributed tracing, are vital instrumentation techniques for observability. As a matter of fact, logging, monitoring and distributed tracing are considered as the three main ways to provide the observability in a system. This session will focus on the observability of WSO2 products, the tools for observability, and how WSO2 will make its next generation products observable by default using well-known standards like OpenTracing specification. 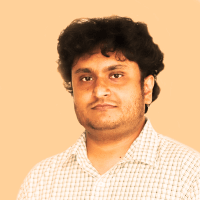 Anjana is a key part of WSO2's Ballerina and ecosystem engineering team where he spearheads efforts to shape the capabilities offered in the related technology areas. He has also contributed to WSO2's integration-related projects, including the Ballerina programming language, in the areas of the VM, transactions, and data handling. He has carried out several onsite customer engagements providing support for integration and analytics projects as well.